It was a dull and rainy weekend. 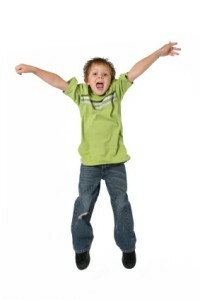 I was busy making house rounds and telling my kids to clean up their room – so I could at least see the floor!! As usual I got the same reply – their friends have even messier rooms. And I am supposed to be content with that?? Fat chance!! I again remind them about me helping Mom and Dad clean the house every Saturday as a teenager. Of course, I don’t tell them everything. I remember my years in Convent school. Indeed I was not the perfect child. After daily morning assembly and prayer, we were sometimes surprised by a uniform check. I remember staring at my skirt in horror (thinking my legs must have grown two inches overnight), and then looking up into Sister Viro’s disapproving steely blue eyes. Of course this meant detention after school. Although the smartest class on the campus, we were also the most talkative and unruly, much to our teacher’s dismay. Detention was just another name for after school care. My thoughts were suddenly interrupted by a piercing scream. I rushed downstairs and saw my son bleeding from his nose. It was all over the floor and bathroom counter. I tried to calm him down thinking it was just another nose bleed. Once things settled, he admitted to jumping on the sofa and accidentally striking the nose with his knee. After a few days, the swelling went down and his nose looked slightly crooked. I was in a dilemma – should I or shouldn’t I correct this? My husband thought his nose looked fine (this is the difference between mothers and fathers), but you can imagine my guilt if he grew up with a deformed nose – after all, his mother is an ENT. We confirmed that he had broken his nose and opted for surgical correction. Now he is fine…..until the next incident. Sometimes out of frustration, I ask: which planet are you from? “Mommy planet” he yells, as he whizzes by me like a cute but destructive wrecking ball. Fractured noses are common especially during the summer months with sports injuries. Bleeding and facial swelling usually occur in the first few hours. It is often difficult to judge early if surgery is required. The bleeding often settles spontaneously, and there is usually little discomfort. Sometimes the septum can develop a hematoma and this requires more urgent intervention; therefore a medical checkup is important. Facial swelling can take days to settle and the nasal deformity will then become apparent. 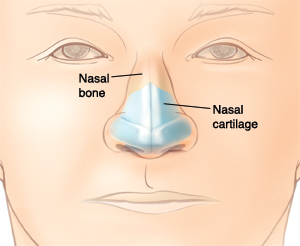 It is often the nasal appearance rather than X-rays that will determine need for surgical correction. The procedure can be combined with a Septoplasty if a Septal fracture or Deviated Septum is apparent. Most important – there is a ‘golden period’ of about two weeks during which the fractured bones are relatively mobile and can be moved back in place. Therefore it is best to seek medical attention early.